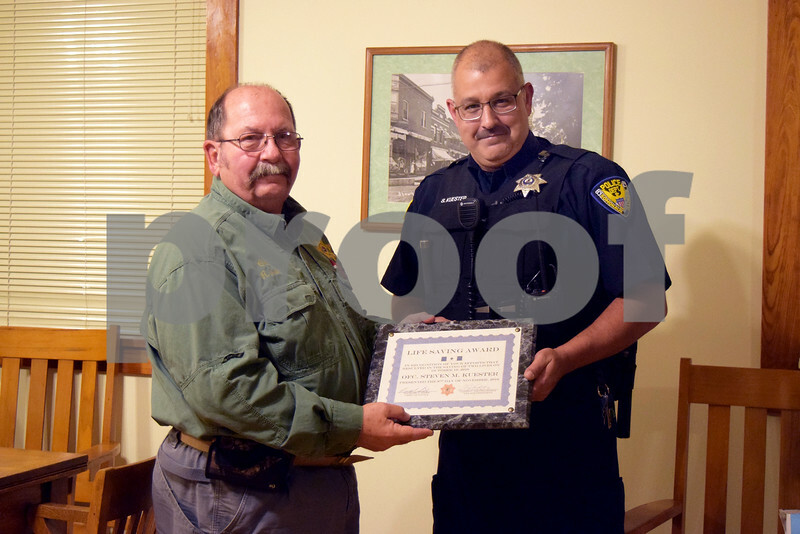 Somonauk Police Chief Rich Smith (left) awarded officer Steve Kuester the Somonauk Police Department's Life Saving Award during the Nov. 9, 2016, Somonauk Village Board meeting. During the late hours of Oct. 18, 2016, Kuester noticed smoke and alerted the fire department. After locating the fire, he woke up the family, Janise and Cager Collins, and helped them to safety.